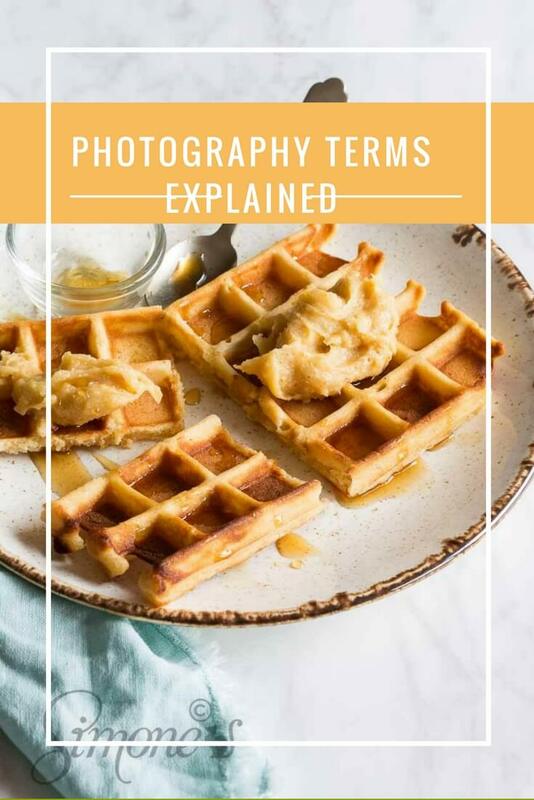 So what are all those terms such as aperture, shutterspeed, iso, white balance, focal length and what on earth are they used for?? To start off, I will give some basic information on what it is. How you can use it will follow in a later article. If you talk about controlling the light in camera you have three tools at your exposure: aperture, shutterspeed and iso. Aperture controls the amount of light that hits your sensor. It is (usually) located inside your lens and you might recognize it when you see numbers that look like this: f2.8, 4.0, 5.6 etc. 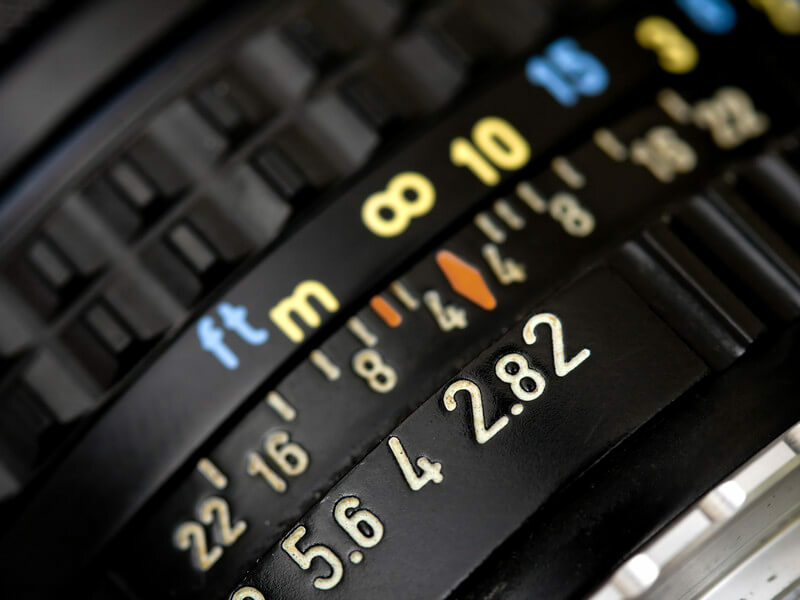 You can control the aperture your camera uses by setting the dial on Aperture Priority (A) or manual (M). In Aperture priority you choose the aperture and your camera will find the corresponding shutterspeed. Of course depending on the lighting situations at hand. As soon as the light levels drop, the shutterspeed will increase. Unless you open the aperture further. What is always a bit confusing is the fact that a low number such as 2.8 means a large opening. Check the graphic above to see what it looks like for some of the numbers. In the below three photos you can see what it looks like if you change your aperture from 2.8 to 32. While the aperture determines the amount of light coming in, the shutterspeed determines how LONG that light will be allowed in. Shutterspeeds are showing as 1/60s, 1/30s etc. or if longer 1″ (for 1 second). When shooting food the shutterspeed – when using a tripod – is less important than when your topic of choice is people for instance. When shooting indoors I always use a tripod so shutterspeed becomes less of an issue. However when you’re shooting hand held make sure that your shutterspeed doesn’t drop too low. A general rule of thumb is that the shutterspeed should be faster or equal to the focal length of your lens. So if you have a 100mm lens, that means your shutterspeed should be 1/100s or faster to be able to hold it. Having said that; it greatly depends on how stable you are when shooting, how heavy your camera/lens combination is and even something like the wind can have an effect. 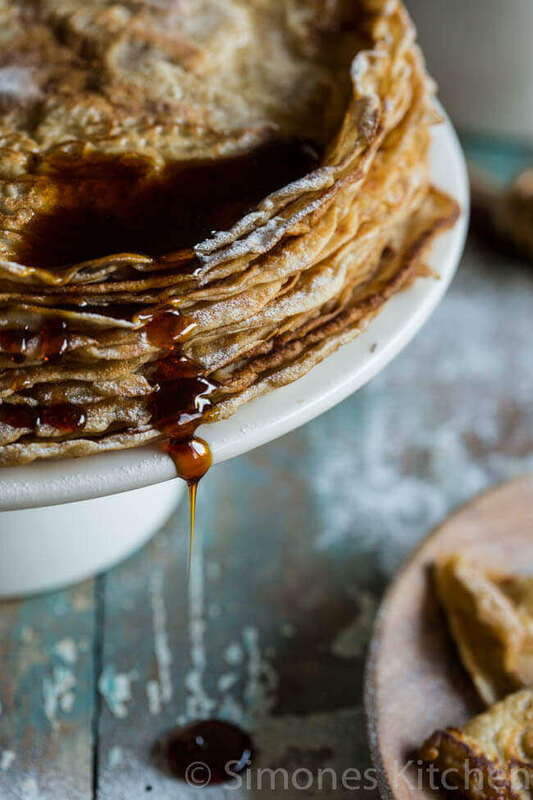 But even when shooting food with a tripod, your shutterspeed can play a role when you’re adding a moving element to the photo such as the syrup that is dripping from the pancakes in the image above. If you have your camera iso settings on automatic, the camera will detect it when the light levels drop, increasing your iso automatically. And while that sounds perfect in reality there is a downside to a high iso. Above you can see the difference in type of camera. The older your camera the more ‘digital noise’ will be generated with a high iso. And the smaller your sensor the more noise you will have. In the above example I have compared three camera’s, showing that the best result is the SLR in the middle. Than the high end compact on the left and last the lower end compact on the right. In general you can say that the higher the ISO the more noise, less vibrant colors and less defined lines. That said: a high iso is always better than a blurry picture. You are the one to decide which one your prefer! Every light source has a difference color. I think we all know how yellow a photo will look when you take it with candle light without flash. Or how green/yellow a tungsten light can be. But even during a regular day the color of the light varies according to the time of day, wether you are in the shade or not and wether it is sunny or not. Early morning starts out very blue (or cool) to change quickly to neutral, to move to warm at the end of the day (sunset!) and to end being blue again. Taking pictures in the shade can give a blue tone as well. On top of that certain colors trick the camera into using a wrong white balance. Black and blue are one of the most obvious ones. Using a flash tends to eliminate all colors giving it a neutral look. Color of the light is measured in degrees Kelvin. I always shoot in RAW, so I don’t worry too much about the right temperature as I know I can correct it later. But if you shoot in JPG it makes sense to check your white balance, especially when you’re shooting indoors. On your camera it is usually showing up as WB or AWB. Focal length stands for the length of your lens from the mirror to the point of convergence. That is maybe a bit hard to understand but basically it comes down to the fact that the longer the lens the more zoomed in the effect is. If you have an 18mm lens, you will have more in your frame than when you shoot from the same position with a 100mm lens. That is much more zoomed in. The longer the lens (the higher the number) the more compressed the perspective becomes. Objects shot with a telelens will appear closer together than when shot with a wide angle lens. 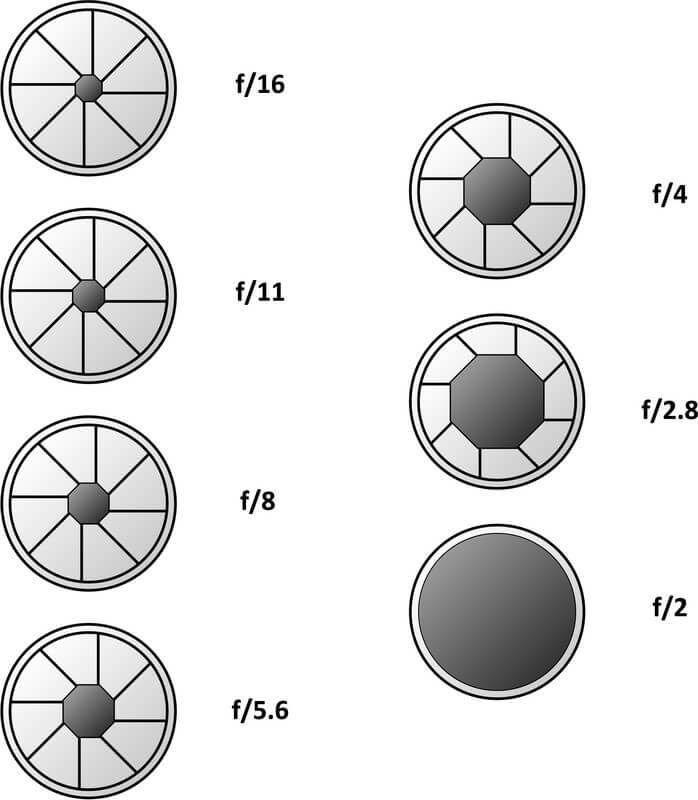 I’ll go more in depth on lenses and their various characteristics in another post.